Death Therapy’s new album is here! New to RadioU this week! AC.jR & BradyJames have been grinding all year and have somehow managed to crank out at least one new single per month! 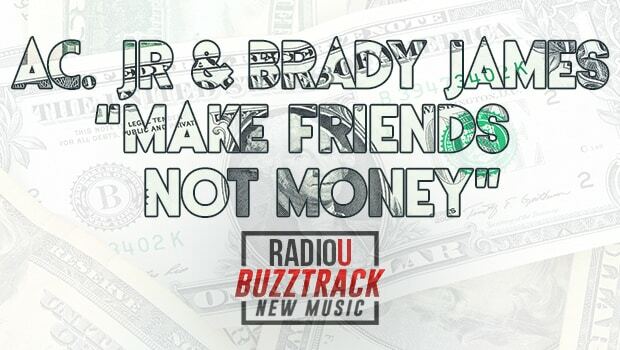 All that hard work is paying off because their new song “Make Friends Not Money” just got added to the RadioU playlist! You can request now, below! RadioU is where you go to find out what's NEXT — all with no ads! Watch and listen live 24/7 for bands like twenty one pilots, Red, KB, Fit For A King, and Memphis May Fire. RadioU is your music channel with live streams, videos, artist interviews, The RIOT with Obadiah and Nikki, plus playlists for hip hop, EDM, metal, throwback, and more! RadioU isn't just the same ten songs you hear everywhere else. The music we play is different. Deeper. The stuff THEY don't play. It's where music is going.